Accepted Items Include: Electronics, Computers, Paint, Batteries and Oil. Phone Number is 312.744.3060. Accepted Items Include: Refrigerators, Freezers and Air Conditioning Units. They will give you $50 for each working fridge and freezer (limit 2) and will pick up the items FREE of charge. Accepted Items Include: metal scrap (motors, copper, transformers, aluminum, cans, cast iron, brass, stainless steel, carbide, steel) and e-scrap (computers, circuit boards, hard drives, cell phones). They BUY your scrap. Phone Number is 773.287.2828. Accepted Items Include: anything with a 6 in the triangle on it – cups, takeout containers, packing peanuts, etc. Open 24 hours and completely FREE. Just make sure items are rinsed out. The ULTIMATE site for finding specific recycling centers or drop-offs for even the most peculiar of materials. They even know of village programs or in-store services. For All Other Items You Can Discard Normally, Consider Options From Same Day Dumpsters. We Have 7 Convenient Locations. With giant pickle drops, black eyed peas and terrifying demons, the world sure knows how to celebrate New Year’s Eve in style. Just because the dumpster rental service hauls away your container doesn’t mean your responsibility ends there. Pack your dumpster right to avoid major hassle! Whether it is burning goats, brooms stolen by witches or weird trolls that peep in your windows, every country has their own way to celebrate Christmas. 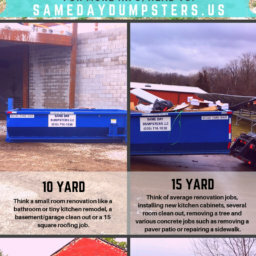 Use this instant breakdown to know which dumpster size is the best to rent for any of your home, commercial, construction or industrial needs. On this #tbt, we dive back to 1935 and take a look at who invented the first dumpster with the Dempster-Dumpster. 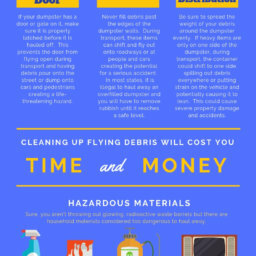 Whether you need a dumpster rental or a junk hauling service depends greatly upon your project but this chart can help you pinpoint what you need. The Most Dangerous Toys To Get For Christmas! Skull piercing darts, arson kits and guns that shoot fire might not be on everyone’s Christmas list and may cause you to chuck them into the nearest dumpster. By thinking creatively and using your local dollar store, you can create visually appealing and efficient solutions for your clutter or excessive junk problem. Who Is Afraid Of Friday The 13th? Some of the most influential people in history suffered from paraskavedekatriaphobia, which is the unnatural fear of Friday the 13th.